Wireless earphones don't tend to enjoy a great reputation among audiophiles. They often lack any semblance of bass response, and are too uncomfortable to be practical for longer listening sessions. These HBQ i7S Twins True Wireless Earphones break all the rules by offering supreme sound and maximum comfort, and they're on sale for just $50. These super lightweight and portable headphones are perfect for anyone who likes to listen to tunes on the go—whether you're commuting to work, taking a walk, or working out at the gym. 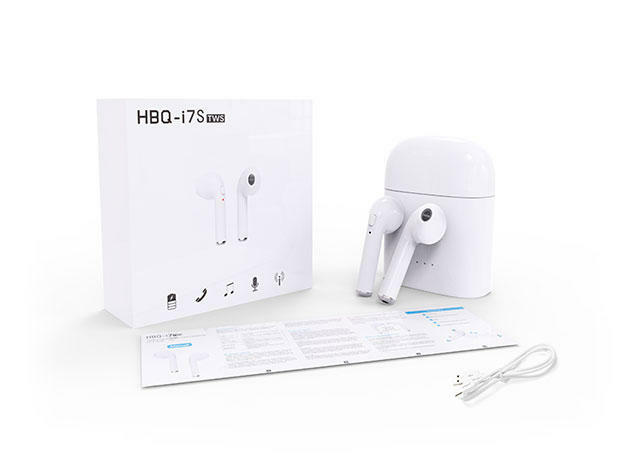 They feature Bluetooth 4.2 technology that delivers HD, lag-free connections, deep bass response, and a built-in high performance rechargeable battery that lasts for up to 5 hours on a single charge. Don't sacrifice sonics or comfort for wireless portability. The HBQ i7S Twins True Wireless Earphones combine all three for just $50—over 45% off their usual price.